1. Are you licensed in Florida? Effective July 1st, 2011 anyone holding themselves out as a home inspector is required to be licensed through Florida’s Department of Business and Professional Regulation. Also whether the inspection and the inspection report will meet all state requirements and comply with a well-recognized standard of practice and code of ethics, such as the one adopted by the American Society of Home Inspectors. Customers can view each group’s standards of practice and code of ethics online at www.ashi.org. ASHI’s Web site also provides a database of state regulations. 5. Are you able to provide a 4 point inspection report and a wind mitigation report? Many of the homes in the Fort Lauderdale area are older homes which will require a 4 point inspection from the insurance company. The 4 point covers the 4 major areas of a home: HVAC (heating, ventilation and cooling), Electrical, Roof and Plumbing. In addition, you should always ask for a wind mitigation report which can give you substantial discounts on your insurance policy. 6. Do you have a roof, termite and if needed, pool inspector to come out on the inspection? Most inspectors in the Ft. Lauderdale area bring out a roof inspector, a termite inspector and if needed, a pool and/or seawall inspector. Wood destroying organism reports (WDO) must be filled out by an individual who has been issued a pest control identification card designating them as having received special training to perform such inspections or be a Florida certified operator in the category of “Termite and Other Wood-Destroying Organisms”. 7. How long will the inspection take? On average, an inspector working alone inspects a typical single-family house in one to three hours, depending upon the size of the home; anything significantly less may not be thorough. If you are purchasing an especially large property, you may want to ask whether additional inspectors will be brought in. 8. What’s the cost? Costs can vary dramatically, depending on region, the size and age of the house, and the scope of services. The national average for single-family homes is about $320, but customers with large homes can expect to pay more. Fort Lauderdale home inspections can run from $350 on up depending on square footage, whether there’s a pool, if you want a wind mitigation report, if you want a 4 point inspection, etc. You should be wary of deals that seem too good to be true. 9. What type of inspection report do you provide? Ask to see samples to determine whether you will understand the inspector’s reporting style. Some inspectors give you your report on the spot. Ask how long it will take to receive your report. This is very important as many times the inspection period here in Fort Lauderdale is short because there may be back up offers on the property and you may have to negotiate to have some repairs made to the home. 10. Will I be able to attend the inspection? The answer should be yes! A home inspection is a valuable educational opportunity for the buyer. An inspector’s refusal to let the buyer attend should raise a red flag. It is important for you to be there to see everything discovered even though a good inspector will have a clear, detailed report with photos. 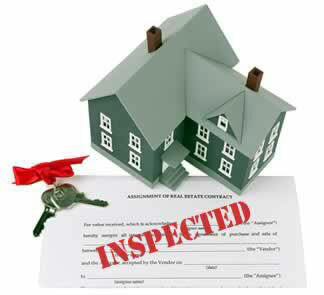 If you do not have a highly recommended home inspector ask your Realtor if they have a recommendation. They should have a good Fort Lauderdale home inspector to refer to you. Portions reprinted from REALTOR® magazine (REALTOR.org/realtormag) with permission of the NATIONAL ASSOCIATION OF REALTORS®.